BlackBerry smartphone is loved by a lot of fans, recently BlackBerry released the new android smartphone the BlackBerry Key2 that attracted a lot of users’ attention. 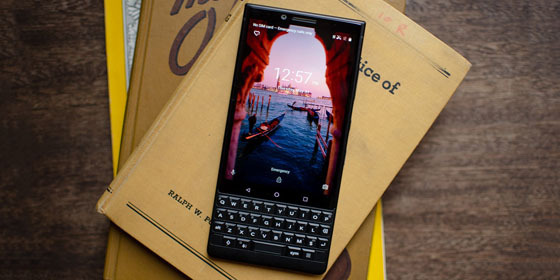 BlackBerry Key2 is an incredible smartphone that mix of old and new, unlike any other android smartphones the BlackBerry Key2 has a keyboard, you can type with the keyboard, this feature is loved by many users. BlackBerry Key2 uses Snapdragon 660, 4.5-inch IPS LCD 1620x1080px resolution screen, it has 6GB RAM and 64GB/128GB on-board storage, you can also expand the storage through microSD card, in this case you are available to transfer as many movies as you want into BlackBerry Key2 for watching on the go. The battery is 3500mAh with Quick Charge 3.0 support, so you can play movies for a long time. Can I play iTunes movies and music on BlackBerry Key2? The above question is asked by a BlackBerry Key2 user, he want to transfer purchased movies and music from iTunes to BlackBerry Key2 for playing, but he failed, if you also tried this you may get failure too. Why can’t you play iTunes movies and music on BlackBerry Key2 directly? There are a lot of reasons why you can’t play iTunes on Android. For iTunes movies, they are protected files under iTunes DRM protection, you have to authorize the digital video contents on Apple authorized devices before you can enjoy them. That makes it impossible for non-apple devices to play iTunes movies as you can’t bypass the authorization and DRM protection directly. Besides, iTunes movies is in a proprietary M4V format, which are not supported by almost all the BlackBerry Key2 mobile phones and tablets. for iTunes music, they are in M4A format which is not supported by BlackBerry Key2 either, you will need to convert them to BlackBerry Key2 compatible format. From the content above you may disappointed to think that you can’t play iTunes movies and music on BlackBerry Key2, please don’t worry, there’s good news that there is a powerful program have been developed to solve this issue, the program is called M4VGO, which can work as iTunes to BlackBerry Key2 Converter on Mac or Windows computer, it is a powerful tool that can convert videos, remove DRM, customize video parameters, subtitles, audio tracks and so on. With this iTunes to BlackBerry Key2 converter tool, it is very easy to remove the DRM protection and convert iTunes M4V movies or music to BlackBerry Key2 compatible videos, it is professional to remove DRM restrictions from all kinds of iTunes purchased and rental videos, and then it is able to transcode M4V to multiple different formats of videos compatible with BlackBerry Key2 or other devices. Convert and play iTunes movies and music on BlackBerry Key2 freely? step 1. Download M4VGO for Windows or M4VGO for Mac from the link, and then install this iTunes to BlackBerry Key2 converter on your computer. Step 2. Add iTunes DRM M4V movies or music. After launching the M4VGO software, you will see the main screen with the “Add Files” button on the top left corner. You can click it directly, then you will see a popup window and at this time you can load all the titles of the iTunes DRM movies that you want to convert. Step 3. Choose the output format for BlackBerry Key2. Please click format column to select output format for BlackBerry Key2. In general, BlackBerry Key2 doesn’t support many formats, the recommended format is H.264 MP4 format, you can choose “Common Video -> H.264 MP4 (*.mp4), this format is well supported by BlackBerry Key2 and many other devices, you can also choose a format as you want. If you want to convert and play iTunes music on BlackBerry Key2, you can choose MP3 as output format. Step 4. Convert M4V movies or music from iTunes to BlackBerry Key2. When you are ready, you can click the convert button on the lower right of the iTunes converter , M4VGO will start to remove DRM from iTunes movies to play on BlackBerry Key2. 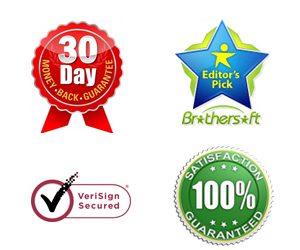 The conversion time may vary from several minutes to couples of minutes depending on how many files you convert. You can just leave this iTunes to BlackBerry Key2 converter to run automatically without the need of sitting in front of the computer. M4VGO will start the iTunes to BlackBerry Key2 conversion immediately, it will keep high quality to convert iTunes movies at an unbelievable fast speed, the most intuitive software interface, enabling you to convert and play iTunes movies on BlackBerry Key2 easily like a pro. 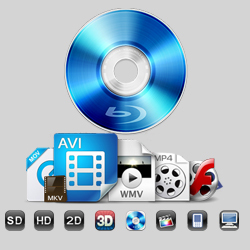 M4VGO iTunes Converter could be the best way for you to use iTunes movies freely. In addition, by removing the protection from iTunes, you can also backup your iTunes movies or iTunes music for future playing. Just take a try now, you will be able to play iTunes movies on BlackBerry Key2 or play iTunes music on BlackBerry Key2 easily. Next How to watch iTunes movies on Galaxy Note 9?